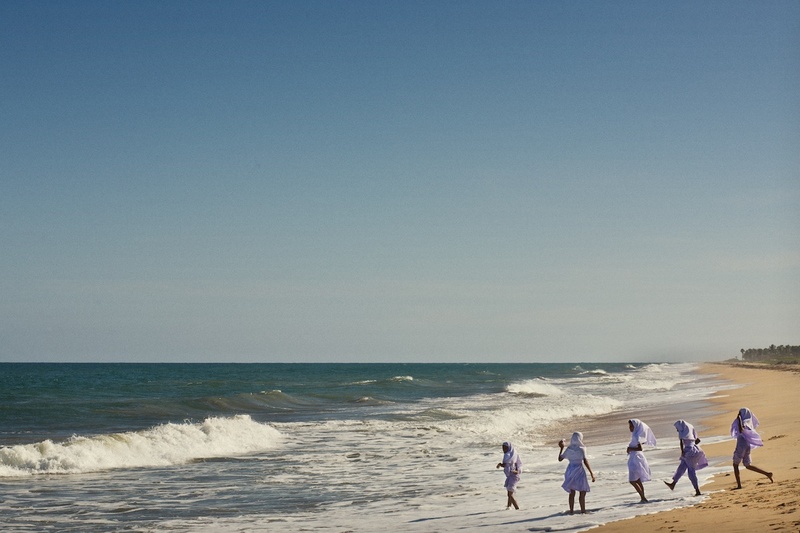 I have always been struck by the contrasts that exist between India and Sri Lanka. Arriving for the first time in Colombo in 2003, I noticed that Sri Lankan rickshaw drivers read newspapers. This might sound a rather trivial detail but it is such a rare sight in India – particularly in the north – that it was obvious there had to be an explanation. Jayati Ghosh’s column in the current edition of Frontline magazine sheds some light on just why it is that Sri Lankan rickshaw drivers read and their Indian counterparts don’t. Under the headline Services for all, Ghosh explains that all Sri Lankan children between the ages of 5-14 are taught in state schools. Apparently Sri Lanka has for decades banned private schools from teaching students of Classes 1-9. This means of course that all of society has an interest in sustaining the quality of the public education system. I do know that private schools exist in Sri Lanka and I’m sure there is a constituent among the privileged that would like to weaken the state system. But the value Sri Lanka places on public education explains why it can boast a literacy level of 90 percent while the population of her huge neighbour to the north languishes around the 60 percent mark. Pupils in their classroom at a state-run school in Akkarapattu. We are unwilling to shell out the money required to ensure that all children in the country get the kind of education that the children of our policymakers automatically receive. I would add to Ghosh’s policymakers, most of the Indian middle class and all of the upper class who have no immediate personal interest in the proper running of government schools. This is for the simple reason that they choose to send their children to private institutions instead. You can’t blame individuals for doing this in a country where, as Ghosh explains, the education budget allocates a paltry Rs.600 ($15) per student per year. It doesn’t take much to realise that this figure represents a huge loss of potential for India. 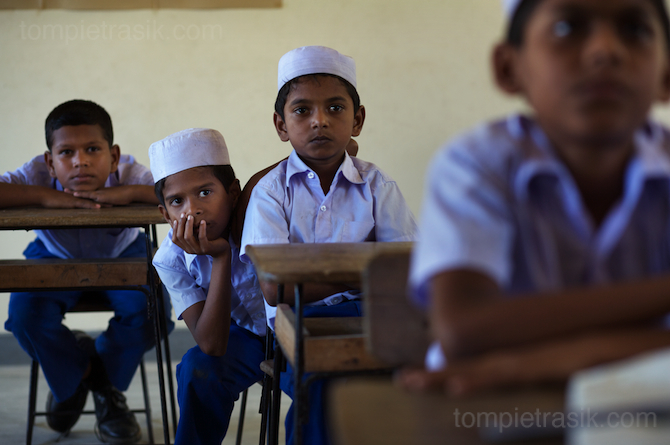 Pupils at Thalanguda government school listen to their teacher.